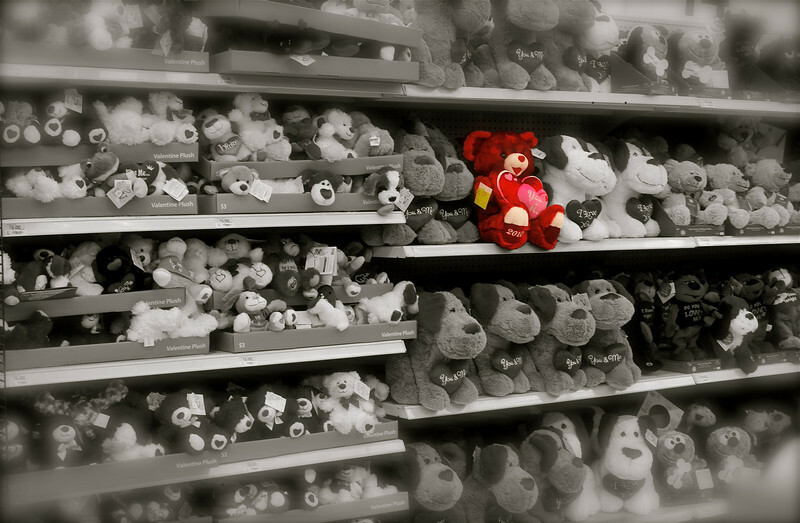 "One in a Million Love"
Love this shot, well composed and good selective colour. The sc makes the shot! Very cool shot...love the sc! Love the SC! Every time I saw the shelf at WM I wanted to take this shot but just couldn't figure out how to pull it off. You did great! I love this one! Wonderful sc and love the softness around the edges. Well done!